This Veterans Day, as we recognize the contributions and sacrifices of all of who have served in the United States Armed Forces, we also are given a powerful opportunity to think about our obligations to Veterans. Including those Veterans who are at risk of, or are experiencing, homelessness. When I think about those obligations, I often reflect on a story from when I lived and worked in San Diego. Honestly, I think about this story almost every day, but I don’t tell it very often. That we know every Veteran experiencing homelessness, that we can provide shelter to all who want it, and that we can quickly link people to permanent housing. That we’ve driven down the number of Veterans experiencing homelessness at any given time as low as we can get it. And that we’ve built the systems that can prevent homelessness whenever possible and when a Veteran does fall into homelessness, we can make that experience as brief as possible and never to be repeated. We’re seeing more and more communities make that vision a reality. 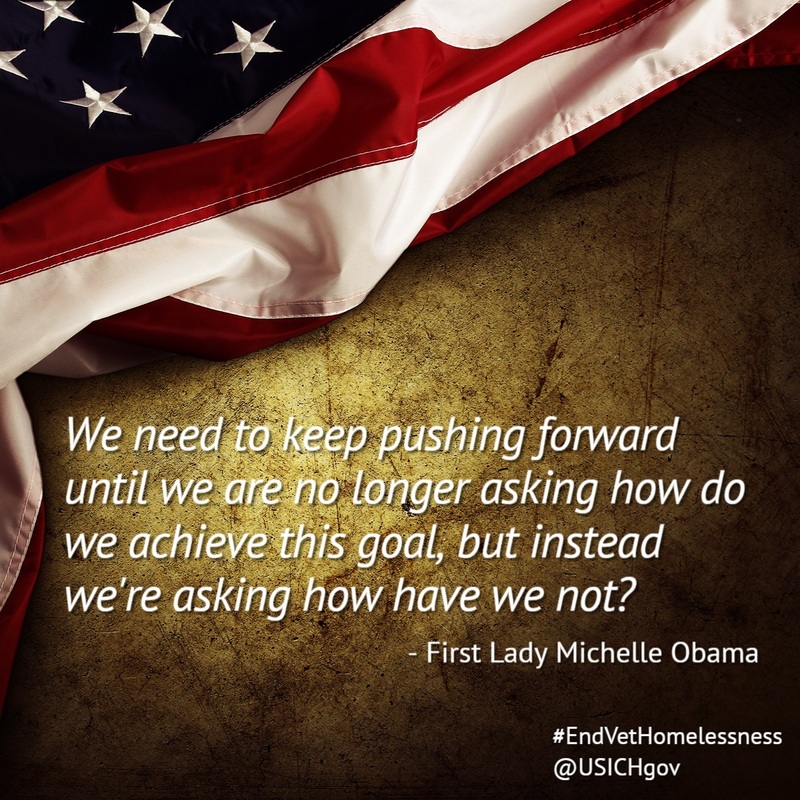 Late last month, Buffalo, New York, announced that they have achieved the goal of ending Veteran homelessness, bringing our total to 31 communities and two states that have been confirmed as having achieved the goal. The hard work that I see happening in communities – your work – is driving us closer to that vision every single day. Not only for your communities, but for the entire country. You’ve put Veterans at the center of your work, building systems that are tailored to the diverse and individual needs of Veterans. You’ve found new ways to overcome obstacles to data sharing so that you can develop strong by-name lists. You’ve mobilized new partners, like landlords and the business community. And, perhaps most importantly, you’ve acted with urgency, recognizing that every day someone experiences homelessness is a day of crisis. Through that work, you’ve fundamentally changed the conversation about homelessness in our country. You’ve helped to show your communities, and the entire country, that it is truly possible to end Veteran homelessness – and to end all homelessness. But, of course, we have more work to do. We need to continue to strengthen and transform the roles that transitional housing programs are playing within our systems. We need to continue to innovate in our efforts to end homelessness for Veterans who are not eligible for VA services and programs. We need to sustain our investments into the strategies and programs that are working, knowing that our systems must be poised to respond to crisis every day. And, from time to time, we need to pause, celebrate the progress, and then take a deep breath, and resolve to keep pushing forward, to keep meeting our obligations. Until no Veterans experience homelessness and have to worry that no one is going to come help them. Until we’ve ended homelessness for all Veterans, and ultimately, for all Americans. Thank you for all you have done – and all you are still doing – to make that vision a reality. Our obligations to Veterans mean that we must never stop striving toward that vision. Never.